Bowhunting continues… Saturday I woke up with a bit of a hangover, regardless I wanted to hunt- it was a beautiful day, the weather was warm, and I had a good feeling about things. I had a few hours before I needed to be somewhere so I set out into the woods with my hopes high. 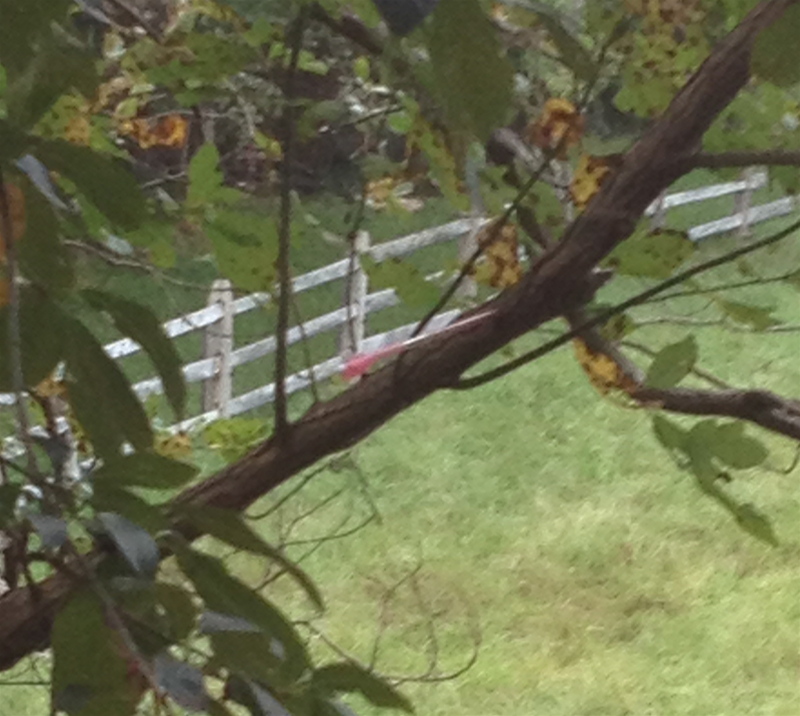 I climbed up into my treestand, settled in, and began the waiting game. The next thing I knew I was nauseous. Very nauseous. Maybe because I was wearing insulated camo coveralls on an 80 degree day, the tree was ever so slightly swaying me back and forth, mosquitoes were nipping at my face, and suddenly all those pumpkin martinis from the night before began resurfacing. I kept dwelling on the potential agony of vomiting from 25 feet in the air and soon enough decided to retreat. Just when I was about to pack up, I saw it. Beautiful and big, a turkey was moseying around in the field behind me! Cook the ham by either grilling, baking, or pan frying it. I bought the pre-cooked ham steaks and baked them so they were just heated through and browned. On the stovetop, over medium high heat, saute the apple and onion in the butter until tender. Add the apple juice to deglaze the pan, then add in the brown sugar and mustard and stir til combined. Continue cooking, allowing the sauce the reduce and thicken. 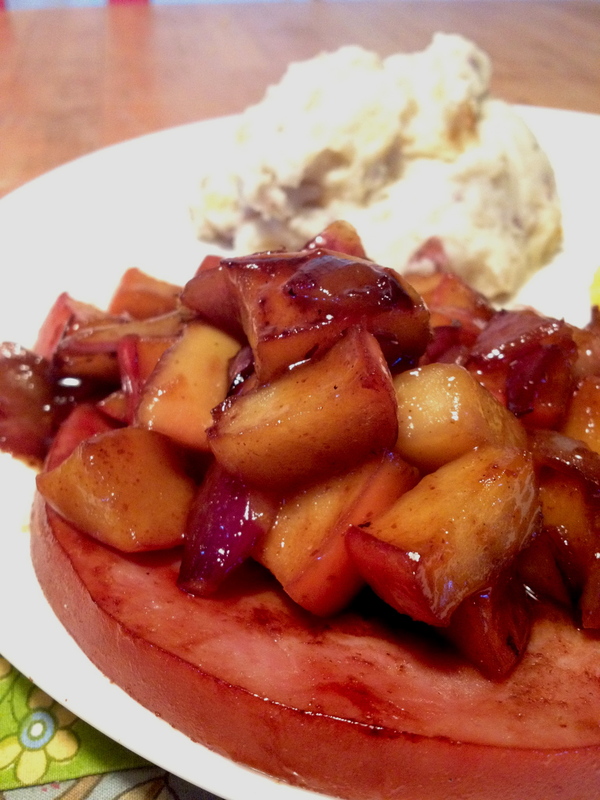 Spoon the apple mixture over top of the ham steaks.